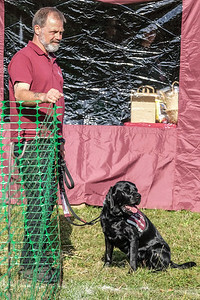 Dogs are very much welcome at Bradford on Avon Food and Drink Festival and we have joined up with the amazing Hearing Dogs for Deaf People to bring you this brilliant, fun and entertaining feature. Bring your adorable pooch along and enter them into the fun categories. Only £1 per dog per category. Golden Oldie, Waggiest Tail, Best Young Handler (u/10 years), Sweetest Puppy (under 18 months) and Best Catch! Hearing Dogs for Deaf People is a national charity which trains hearing dogs to alert deaf people to important sounds and danger signals in the home, work place and in public buildings that they would otherwise miss. They train hearing dogs to alert deaf children and adults to important sounds and danger signals such as the alarm clock, door bell, telephone, a baby’s cry and the smoke alarm. Hearing dogs are easily recognisable by their distinctive burgundy jacket and lead slips, which help to signal the recipients otherwise invisible disability, bringing increased peace of mind for the deaf person. Deafness can be an incredibly isolating and lonely disability, and a hearing dog provides life-changing independence, increased confidence, companionship and a feeling of security. There will also be Hearing Dog demonstrations during the day in the Family Fun Dog Show Arena so you see just how clever they are. All proceeds from this area go directly to Hearing Dogs for Deaf People. BoA FF does not charge or take money from Hearing Dogs for Deaf People for the Dog Show. 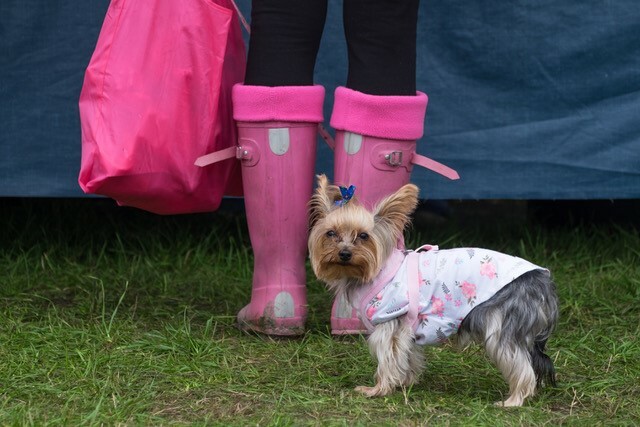 We ask that all dogs are kept on the leash within the festival site. Please pick up their mess and place it in the Dog Bins that are provided. A delicious malt-driven, low-alcohol session ale, with notably restrained bitterness. Explore for hints of chocolate and molasses, balanced out by floral and piney hops. Food pairing: Best of friends with roasted red meats, chilli, sausages, caramelised root vegetables and tomato pasta sauces. Award Winning Beer – Cask BRONZE at SIBA South West Independent Beer Awards 2017. A hop-driven, quietly refreshing session ale – inspired by America; crafted over here. Explore this resinous, floral brew for citrus notes of grapefruit. Food pairing: Buddies well with fish tacos, chicken or vegetable curries, and sharp cheddar. Award Winning Beer – Bottle GOLD at SIBA South West Independent Beer Awards 2017. This is the brewers and our favourite choice (although all our beers are delicious!). A rich, flavourful American rye ale. Warming, full-bodied and layered. Explore how the peppery, nutty rye malt is beautifully balanced by the juicy, resinous hops. Kettlesmith Brewery is a gem of a micro-brewery nestled in the heart of Bradford on Avon. They brew modern interpretations of a wide variety of beer styles; and draw inspiration from their background in America and England as well as their love of Belgian beer. We are thrilled to be supporting them @ Bradford Food & Drink Festival. This uncompromising lager is crisp, clean and utterly refreshing. Lagered for six weeks and loaded with Progress and Fuggles hops for masses of flavour. Food Matching: Delicious with lighter foods such as white fish or chicken salad or a great BBQ partner. Fresh-faced and thirst-quenching, Peto Press is a silky-smooth cider, naturally fruity with a long lasting apple finish. It contains apples harvested from the ancient orchards at Iford Estate just down the road and we will have it on tap at Bradford on Avon Food & Drink Festival! Food pairing: delicious with pork dishes, sweet tagines, and as an alternative to pudding wine. Always a favourite with the sweet-toothed crowd. Smooth and sophisticated and very supable when the sun is out! Food pairing: perfect with a ploughmans or strong cheddar cheese. Food pairing: A match made in heaven with pulled pork street food dishes and B&Q. Apple and Blackberry crumble in a glass! Wonderfully sweet and fruity. Refreshing over ice. Food pairing: Delicious with salads and creamy pasta dishes or with some artesian snacks. Iford cider is hand-crafted in small batches and left to ferment long though the winter using nothing but the wild yeasts which exist naturally on the apples. Iford does not add factory-grown cultures, or use artificial sweeteners, aromas or flavourings. With enticing hints of gooseberry and nettle, this crisp, elegant wine. Food pairing: delicious with or goat’s cheese salad. Made from the Cinsault grape, grown in the Languedoc region, this pale, elegant Sulis Rosé has a mineral quality that keeps the wine crisp. Utterly moreish. Food pairing: the perfect accompaniment to salads, and light dishes, it’s also the perfect partner for simply relaxing in the sunshine. Rich, full and with a gentle spiciness. There is texture to the wine, but tannins are soft and ripe, making for a big wine! Food pairing: this Malbec is the perfect partner to grilled steaks, spicy paella, aubergine bakes, rich pasta sauces and hard cheeses. Fine, persistent, soft fizz surrounds the typical fruit spectrum of apple, pear with a hint of peach. Food pairing: Perfect for antipasti and salads. Made with award-winning Edinburgh Gin Rhubarb and Ginger Gin Liqueur topped up with cool prosecco, spicy and refreshing. If you haven’t heard of Edinburgh Gin, where have you been?! Still a relatively new distillery in gin making terms, they are leading the innovation in creating a superb portfolio of world class gins and liqueurs. Food pairing: Delicious on its own, with canapés and fish dishes. Made with iconic Bombay Sapphire Gin, a splash of refreshing elderflower cordial, mint and cucumber to finish off. Food pairing: A joy with smoked salmon and creamy cheeses. The quintessentially British way to kick off the summer. Loaded with summer fruits, mint, ice and lemonade. Food pairings: Great with a meaty skewer and cured meats. Winner of 2018 Taste Awards, and Signature Botanical Winner at Craft Distilling Expo 2016. Sly’s Lemon Verbena London Dry gin is a signature botanical gin that remains true to its London Dry style. Tastes of soft juniper but quickly followed by the delicate herbal complexity of lemon verbena combined with the citrusy notes of coriander seed and sweet orange peel. Garnished with orange, thyme, ice and Fever Tree Tonic. This lovely gin comes from Haven distillery, a true artisan small-batch distillery nestled in the heart of the Herefordshire countryside, where husband and wife team, Duncan and Alex grow many of the botanicals used in their gins. Food pairing: Devine with light chicken dishes. Made with IWSC Gold Award winning Cotswold London Dry Gin. This is an aromatic gin made with carefully considered botanicals and Cotswold Lavender, served with Fever Tree Tonic, pink grapefruit and a bay leaf. The desire to reflect the natural beauty of North Cotswolds and honour its heritage runs through everything the chaps at the Cotswold Distillery do – they use local raw materials, traditional kit and techniques and partner up with other independent producers in the area as much as possible. Pairing suggestion: This would stand up well against any full flavour pork dish. Served with a Bombay Sapphire, lemon, ice and Fever Tree Tonic. Many people do not realise that the Bombay Sapphire Distillery is in Laverstoke, UK. Perhaps because its master of botanicals travels the world in search of the finest of its 10 key botanicals. It uses a vapour infusion process to create its unique aromas and taste and it still uses the Carterhead stills Tom and Mary which date back to the 1830s. Food pairing: Just the ticket with some salty snacks. 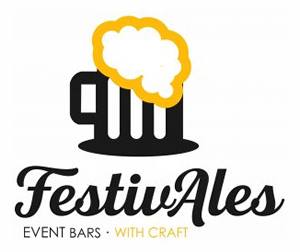 FestivAles is super excited to be hosting the Pop up Pub at Bradford Upon Avon Food & Drink Festival. 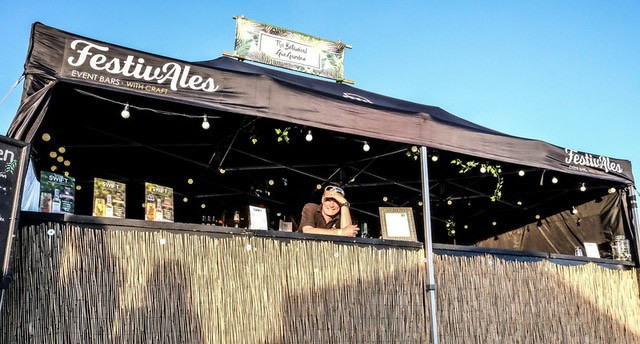 We will be serving the very best in local, independent and award- winning brews, craft lagers, ciders, premium artisan spirits, delicious wines along with some rather tasty non-alcoholic treats. We will be releasing details of our jammed packed drinks line-up in the new year along with details of best food pairings so be sure to check back. We will also have live music and plenty of seating so you can kick back enjoy your tipple and soak up the atmosphere. We look forward to seeing you there! Cheers!